Some of Our Favorite Creatives that Inspire Us! Everyone can be inspired by others. We make it a point to learn and glean from others who’ve ‘gone before’ us. But even more than just informational data-knowledge we want inspiration, the lifeblood to a creative. Here are just a few of the inspirations we have admired and from whom we’ve learned. I recently got to take the entire masterclass by Ron Howard on MasterClass.com. Boy, was I inspired. This man who has accomplished so much in the acting and directing world seemed so humble in his approach to teaching. It was truly a rich experience as he gave tips of the trade, stories of experiences he’d had, and the why’s and what’s behind some of his films. 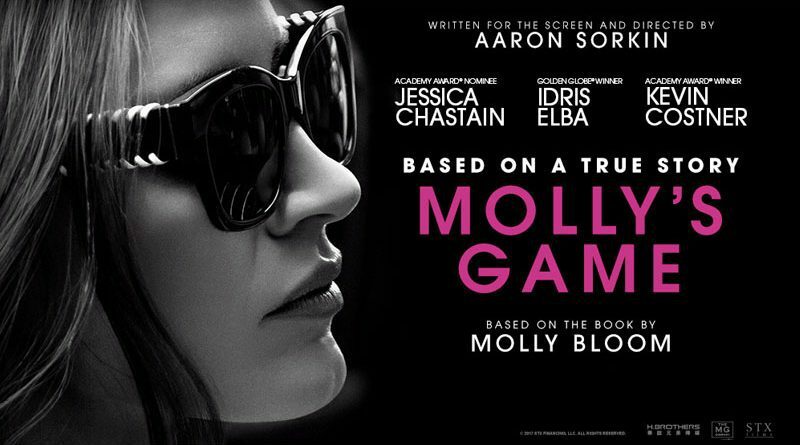 “Molly’s Game” debuted recently as Aaron Sorkin’s first film as director. I ate it up and loved it. However the reason I wanted to watch it was because of admiration for Sorkin’s writing ability and the stories he’d created — really all I’ve seen have been truly the cream of the crop. He wouldn’t consider himself a great I suppose. But it’s humble people like John Lee Dumas who unknowingly inspire others. I have been a subscriber to his podcast for the past few months and find them both informative and stimulating. Free “value bombs” as he calls them come most every episode. Ok, I know. What the _____ do you listen to as this mini list is kind of all over the place?! Well, I love different styles and genres and listen to each as I’m feeling it. Music goes beyond words and can inspire both more music AND other things. Maybe you workout to music for the energy it gives? Or you put on some instrumental mood music in your headphones when at work? Or maybe you just listen to some ‘smooth’ jazz over dinner to relax. I for one don’t know what I’d do without music in my life. Thank God for it. From whom (or what) are you gleaning inspiration these days? Let us know.